Liverpool boss Jurgen Klopp is expecting to get a huge injury boost after the international break as he has outlined Joe Gomez’s comeback plans. Gomez initially suffered a hairline fracture in December, but after sustaining a setback a month later, he was forced to undergo surgery to help the issue heal. Since then, he has continued his recovery and rehabilitation work, and according to Klopp himself, he expects the England international back in full training after the international break and pushing on for a return to the line-up before the end of April. “Very positive. He is not even in the everyday (medical) updates, so that is all positive,” Klopp said, as per The Mirror. 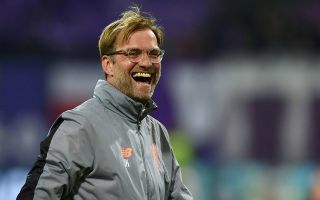 It will be a massive boost for Liverpool to get the 21-year-old back, especially with key fixtures coming up in the Premier League title run in as well as the Champions League quarter-finals and beyond if the Merseyside giants advance. Gomez formed a key partnership with Virgil van Dijk in the early part of the campaign, and although the Dutchman has continued to shine in his absence, it was a major reason behind why Liverpool still boast the best defensive record in the top flight, having conceded just 17 goals in 30 games. With that in mind, Klopp will be delighted to welcome Gomez back to the fold, although there will undoubtedly be some caution to ensure that he doesn’t suffer any late setbacks.